Develop the knowledge and understanding of different leadership styles or behaviours, including an understanding of your own preferred leadership behaviours, and the impact that these different styles are likely to have on behaviour of team members. Taught to Institute of Leadership and Management (ILM) standards by our experienced management tutors, this one day course will enable you to develop your ability to lead your team effectively. This Level 3 ILM course is aimed specifically at current and aspiring middle managers. Non-accredited: You can attend Understanding Leadership as a stand alone one day course - just gain the knowledge you need, without completing the assignment. 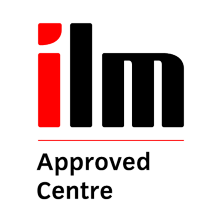 Accredited: Alternatively Understanding Leadership can be completed as an accredited Level 3 ILM unit which can form part of the Level 3 Award, Certificate or Diploma in Leadership and Management. You will be required to complete an assignment to ILM standards. Additional charges apply.